As long as we have had nuclear bombs, the government and power companies have been trying to get the public interested in nuclear power. Nuclear energy seemed to be an efficient and clean source of power, but it can be risky too. 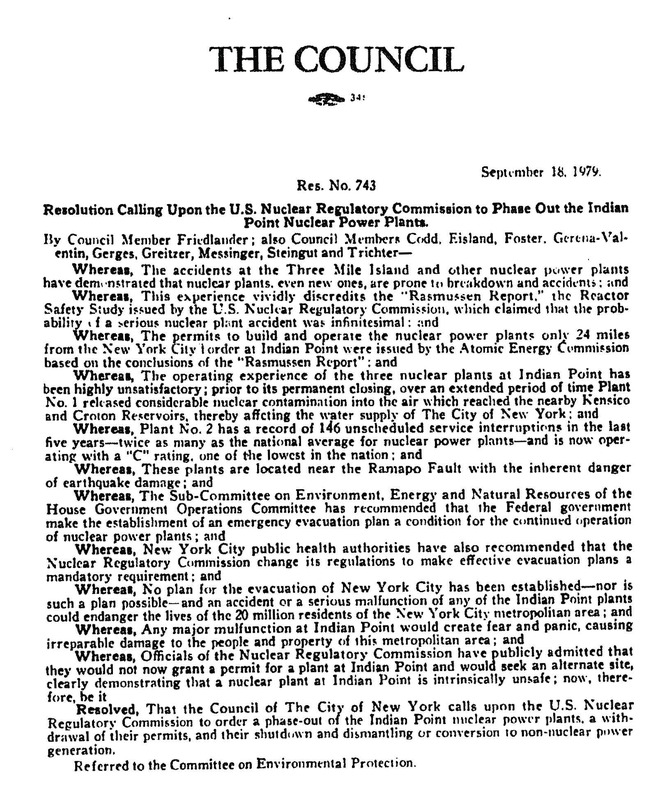 New York’s main power company Con Ed (short for Consolidated Edison) entered the nuclear energy business in the 1960s, with mixed success. 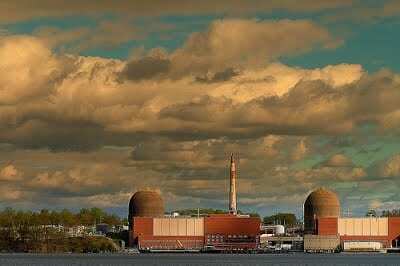 A Nuclear Power Plant in Queens? The site of the proposed nuclear power plant in Queens, right across the river from midtown Manhattan. 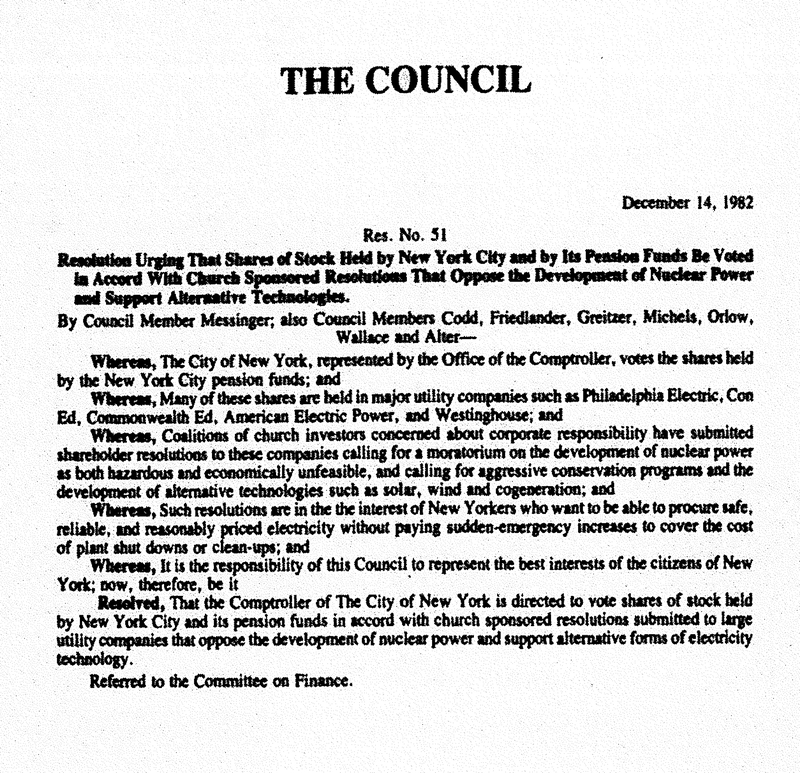 On December 19, 1962, Con Ed applied for a permit from the AEC to build a nuclear power plant in Queens on the East River between 37th and 38th Streets. The project was highly contested within the borough and the city. Many believed that it was foolish to build a nuclear power plant in the middle of such a populated area. The plan was to have the plant under a giant concrete dome that would be sealed in the event of a meltdown. 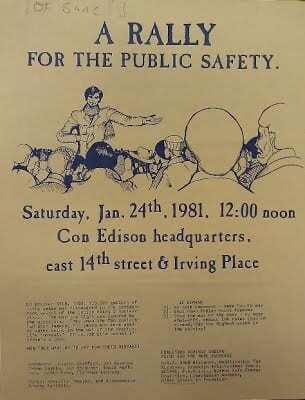 After much public outcry, Con Ed withdrew its plans in January 1964. David Lilienthal, former chairman of the AEC, said, “I regard this as a decision very much in the interest of the health and safety of Metropolitan New York.” (Clarfield, 1984, p. 356; Weaver, 1963; Mohr, 1964). Following a lengthy campaign by environmental groups like Riverkeeper, in 2015, the New York City Council passed Resolution 694 calling for Indian Point to be closed down. Two years later, New York’s Governor Andrew Cuomo announced that he had reached an agreement with the plant’s operator to have it cease operations by 2020, calling it a “ticking time bomb” (New York Times, 2017). 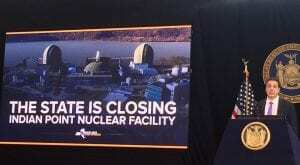 Announcement of closing Indian Point, 2017. (Riverkeeper). By Catherine Falzone and Matthew Bolton, 2018. Adapted from Nuclear New York archive with permission.